The California Coastal Commission has approved a $100 million killer whale habitat expansion at SeaWorld in San Diego, but banned breeding of the captive orcas that would live in the new tanks. The ruling came after a request by the San Diego aquarium to build new tanks for its orcas. In a statement SeaWorld said it was “disappointed” with October 8 ruling. 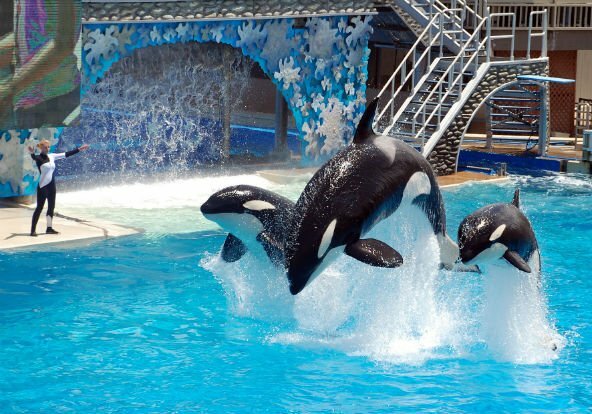 “Breeding is a natural, fundamental and important part of an animal’s life and depriving a social animal of the right to reproduce is inhumane,” said SeaWorld San Diego Park President John Reilly. The ruling affects SeaWorld’s San Diego business, but not its locations in Florida or Texas. SeaWorld has come under heavy criticism in recently years, particularly after the 2013 release of the documentary Blackfish which specifically criticized the company’s orca program. SeaWorld has called the film “false and misleading”. Numerous celebrities have condemned SeaWorld’s treatment of its captive animals in the past years. In August 2015, SeaWorld Entertainment reported an 84% drop in earnings in Q2 of 2015, compared to the same period in 2014, and a 2% drop in visitor numbers.